From its brand-new aircraft configured with USB ports and comfortable seating, to the healthy, fresh meals on offer, Flyadeal endeavours to bring modern living and convenience to its passengers. As a low-cost carrier serving the local market, Flyadeal’s basic, quality features and optional value-added products allow you to tailor your airfare to suit your needs. Air travel is affordable for everyone aboard Flyadeal! 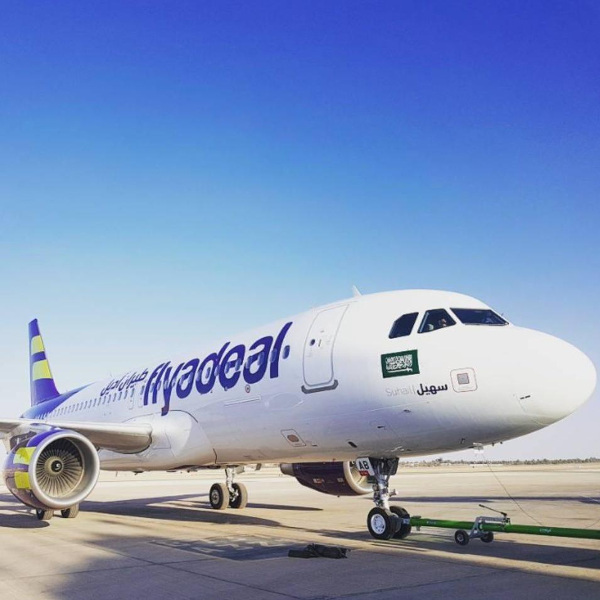 Having recently launched their first flight in 2017, Flyadeal now flies to 8 cities throughout Saudi Arabia, and we have no doubt they’ll soon be expanding on their popular routes. With their wheels lifting off the ground barely a year ago, Flyadeal have already become a firm favourite in the Middle East. 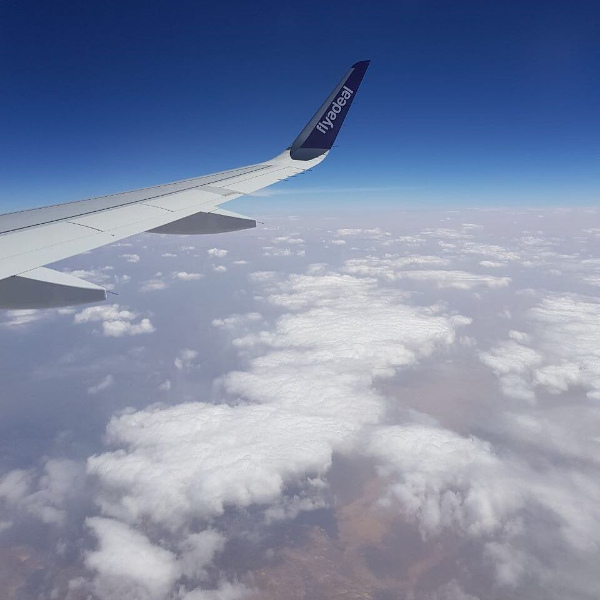 Flyadeal is the low-cost sister airline of Saudia Airlines minus all the frills and fuss. 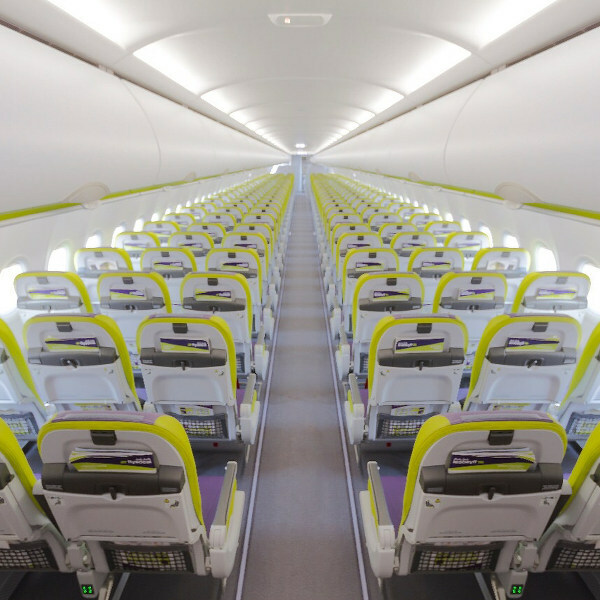 While their mission as a low-cost airline is to provide value at competitive rates, Flyadeal does not sacrifice on their quality, giving passengers extra legroom, generous baggage allowances and optional meals. All 8 of their new Airbus A320 aircraft are kitted out with charge points and the latest safety features. With a range of onboard refreshments and a shopping catalogue on offer, you’ll be comfortable and connected throughout your flight. Book Flyadeal flights to Riyadh, Jeddah, Tabuk and other exciting places! Each passenger is allowed to bring on board 1 X 10kg bag as cabin baggage, as well as a laptop bag or handbag small enough to be stored under the seat. Travellers with a fly+ ticket are allocated 1 X 25kg bag to check in. Travellers with a fly fare do not get free baggage but are welcome to purchase it prior to their flight. Should you wish to purchase extra baggage, you are advised to pay for it at least 1 day before flying, as it will cost a lot more paying for it at the airport. Checked baggage may not exceed 75 x 50 x 35 cm, otherwise over-sized baggage fees apply to any luggage up to 140 x 85 x 65 cm. Choose from a range of Flyadeal check-in options to suit you. Web check-in opens 48 hours before scheduled departure and closes 3 hours prior to departure time. Flyadeal counters open 3 hours before flight departure. You are advised to be at the airport at least 2 hours ahead of time. Boarding gates open 30 minutes before departure. Once you’ve downloaded the Flyadeal App, you can check in anywhere with your mobile device. Flyadeal is all about comfort and convenience. All seats are configured with holders for phones and tablets. Each row of seats is configured with 4 USB outlets. Choose between 7 types of seating options, ranging from Standard (SAR 10) to Front Row Premium (SAR 85). Please note that Ladies Only seats are available on a first come first served basis. Food and refreshments are available for purchase on board, or meals can be pre-ordered up to 24 hours before departure. Infants (under 2 years old) travelling on Flyadeal flights are limited to 1 infant per adult and 1 infant per row of 3 seats. Infants sitting on parents’ laps are charged SAR 50 per sector, while infants occupying an individual (approved infant travel) seat are charged the full fare. Unaccompanied minors cannot be accommodated, but children aged 12-15 years travelling on their own and not requiring any assistance will gladly be accepted for travel with Flyadeal.